So in spending New Years Eve alone at home I decided to celebrate. For this I went to my wine collection, which very rarely lets me down. 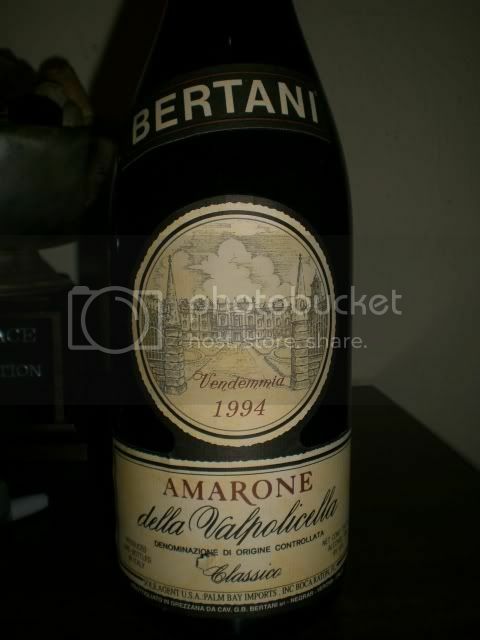 There I pulled a 1994 Bertani Amarone della Valpolicella. This was probably the best wine I have ever had the pleasure of, well, drinking. I am still relatively inexperienced in the "lingo" of the wine world and only just able to distinguish "vanilla" from "currant". I prefer big red wines, full bodied. I like a wine to hit me at first, then apologize later. Old Vine Zins are my new thing; my last obsession was with Syrah/Shiraz. I'm not a real Pinot Noir fan, but I'm working on that. And Merlot is, well, you know. 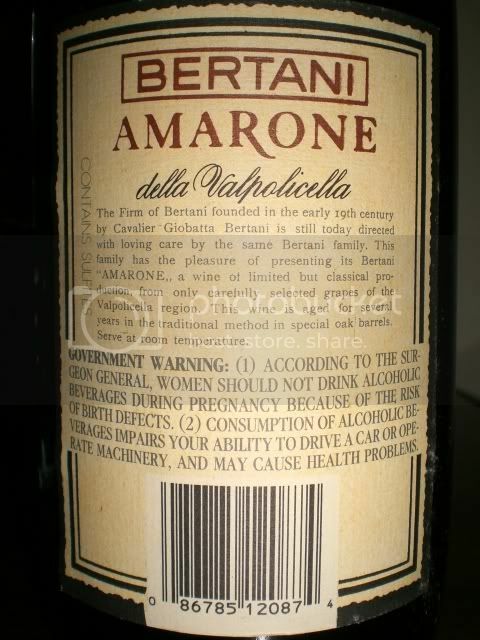 I am on the hunt for another bottle of the Bertani, two if I am lucky. 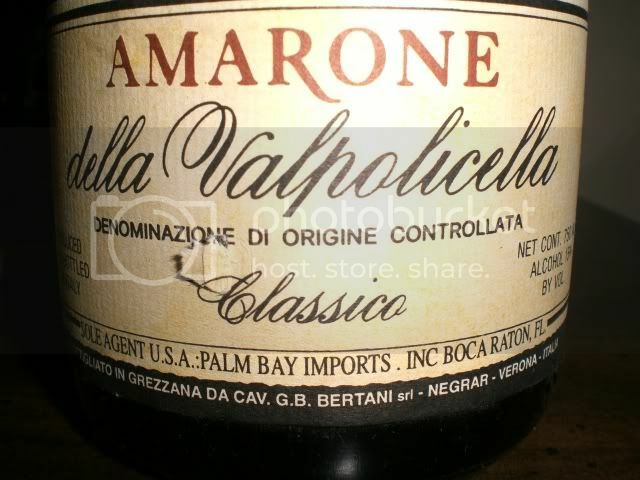 Please comment if you have experience with this wonderful wine! Deer or Elk or What? On The Menu This Evening . . .